That’s right! 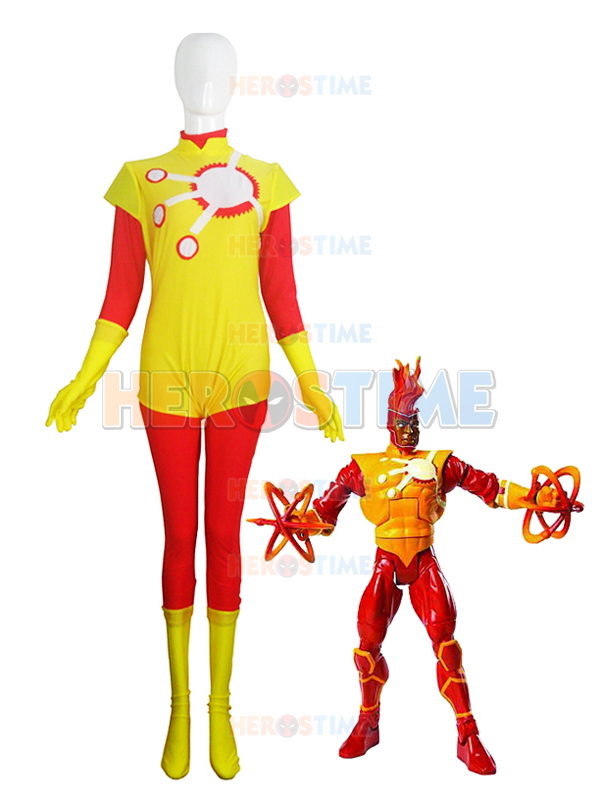 You can order your very own Firestorm costume online! No joke! A company called Herostime has produced a number of superhero costumes, including our favorite Nuclear Man! Prices start at $72.58 and they offer lots of options and sizes. Now to complete your cosplay, you just need to set your hair on fire! Check out the costume below based upon Jason’s post-Infinite Crisis suit! And click here for more information! If you’re brave enough to order one, let us know! If you can legitimately wear spandex and look good doing it, then send us a picture too! Posted in: Cosplay, Firestorm #07: Jason post-Infinite Crisis, Jason Rusch. Don’t do it, Shag. DON’T! Shagg what action figure is that? Is it a DC Direct? I want one! @liquidcross – No worries. As I mentioned, “If you can legitimately wear spandex and look good doing it, then send us a picture too.” I don’t fall into that category. @Keith – That is from the Mattel DC Universe Classics line. They produced a Jason and Ronnie variant. Shouldn’t be to hard to find on eBay.